A Fortnite player has created something cool using Playground mode. It’s a racing track that looks like something out of Mario Kart. 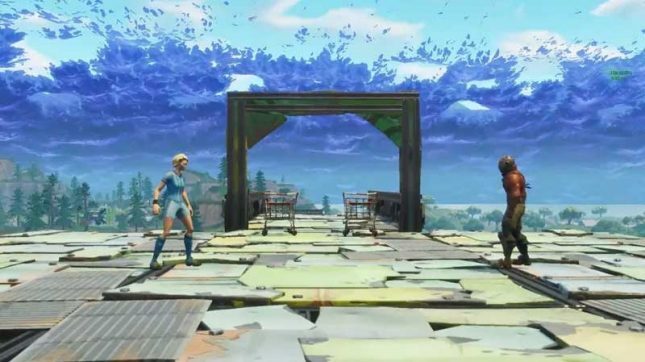 The track is called “Tilted Track” and it was shared via Reddit reports Kotaku. The track uses shopping carts as the vehicles and players can race. Shopping carts in the game are operated by pressing jump before coasting for short periods of time. The use of karts is said to be a lot faster than running making it good for racing each other across the rough looking racing track. One rub for those creating complex things like this track is that whatever they build only lasts an hour. After that hour the constructs disappear. It’s cool to be able to build without having to worry someone will kill you. You can still be killed in Playground Mode, but you respawn immediately. Playground mode gives more resources than the regular game modes. Many are wondering if Epic Games might consider keeping Playground mode around rather than eliminate it at some point.